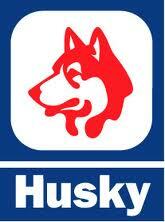 We just found for you a great $2 off gas coupon to be used at Husky gas stations. No one likes paying for gas, so I think this is an offer that everyone is going to like! Well, at least the ones living in a province where there are Husky stations (Ontario, The Prairies and BC). So you’ll need to click on our link below and then to print the coupon to use it in store. The fine prints don’t mention a minimum quantity of gas so I guess this is valid on any purchase at the participating Husky and Mohawk locations. And you can use it till December 31st 2010. If you have another coupon, please share it! The one at Mclaughlin Rd and Bovaird Drive in Brampton and another one at Queen St & West Dr (off hwy 410) in Brampton, accepts the printed coupons, but it might be too late now. @ Peggy Thanks for letting me know because I was going to go to the one in Streetsville tonight; I guess they are not getting my business!!! It looks like the coupon has expired unfortunately. We’ll keep you posted if ever we find a new one still working! Thanks for letting us know.